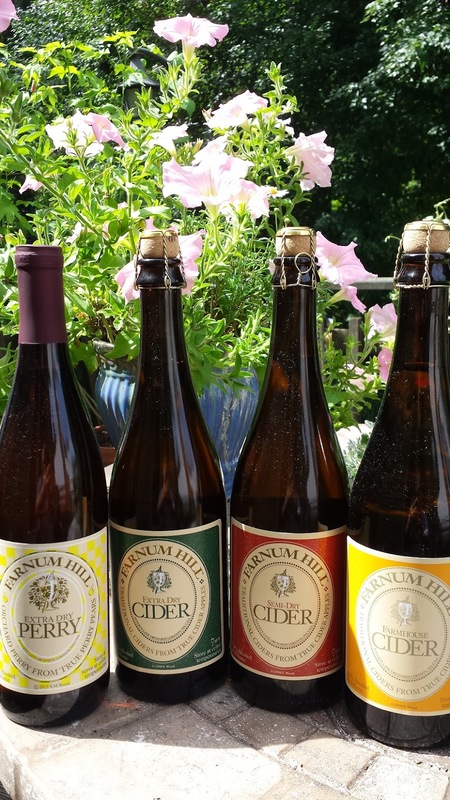 August's #WineStudio sessions concludes tonight with more tasting and information regarding the cider industry in general and New Hampshire's Farnum Hill Ciders in particular. My previous post focused on the cider house's origins and philosophy. Last week, the focus was on cocktails and the industry in general with several cider houses and #tastemakers participating. You don't see much kegged cider because most retailers and wholesalers expect the kegged cider to be priced similar to beer. Only the mass produced ciders have the economics of scale to price at that level. Plus these massed produced ciders are mostly likely made from concentrated juice, not freshly pressed. Ciders with alcohol over 7% must be packaged in metric (375, 500, 750 ml) formats which are then taxed like wine and carry a higher tax rate. This Diane Flynt (@FoggyRidgeCider) mentioned that Virginia grown is always above 7% thanks to the warmer temperatures. Unless the cider is diluted, they must be packaged accordingly. Cider makers are hoping the CIDER Act changes this formula. Perry is cider made from special pear cultivars that are higher in tannins and acids as compared to common pears and even cider apples. Because of these tannins, the pear pomace is usually left to on its own as in wine maceration. During this time a secondary malolactic fermentation may result where the harsher malic acids are converted to softer lactic acids. 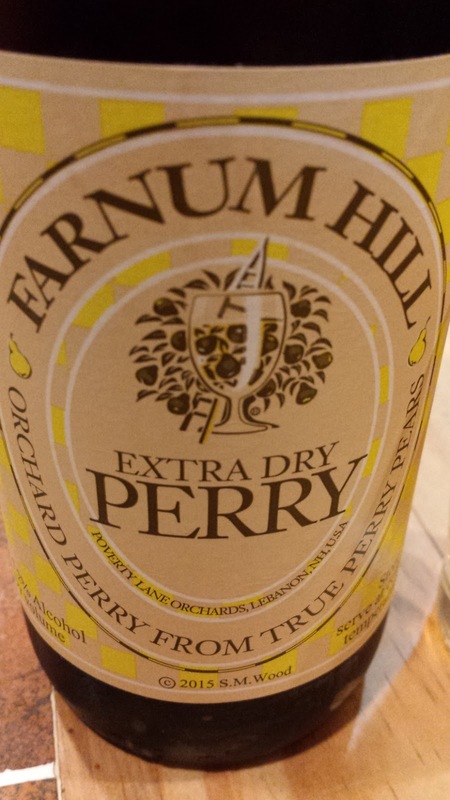 Farnum Hill Extra Dry Perry ($15, 7.2%) - yeasty and stone fruit nose and less tart than the previous apple ciders. A degree of funk, tannins, and easy acids. This is a special cider. Farnum Hill Semi Dry ($15, 7.4%) - subtle sweetness which intermingle with the acids for a richer and deeper flavor profile. There's plenty of apple and citrus, both lemon and tangerine, with a touch of honey. Glad we saved the best for last. I always look forward to the madness known as the Live Wine Blogging. For 50 minutes, winemakers rotate around the room, stopping at a different table to describe their winery and wines in 5 minute increments. Within that time, the participants post their thoughts using their preferred social media channel. Mine was Twitter. I anticipated scores of Riesling at the white wine version of this event, but in general, winemakers chose to showcase other varietal wines such as Traminette, Sauvignon Blanc, Gewurztraminer, and Vidal Ice Wines. The 2014 Boundary Breaks #239 Dry Riesling was my overall favorite followed by a tasty Hermann J. Wiemer 2009 Blanc de Blanc. How many wine trails are there where you can ride a boat straight to a winery's dock? 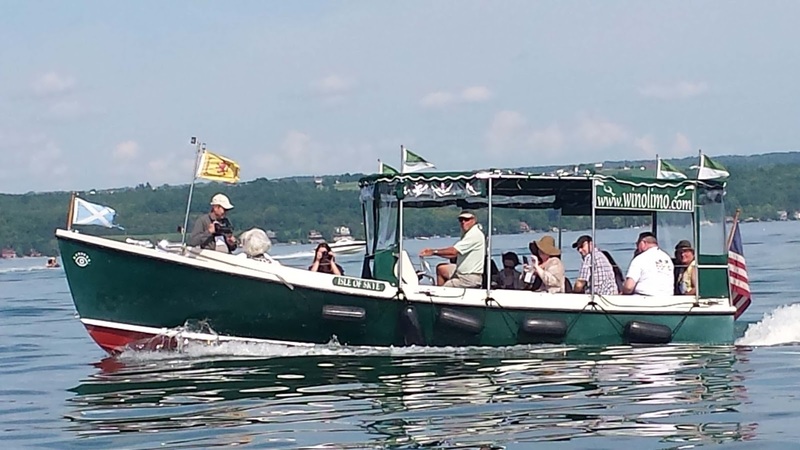 According to boat captain, Captain Skip Stamberger of Water to Wine Tours, the Cayuga Lake Wine Trail is the only trail in the world that provides that option. It's hard to validate that claim, but for those of us who participated in the post-conference excursion, we experienced a leisurely boat ride from the Thirsty Owl Wine Company dock to Goose Watch Winery. 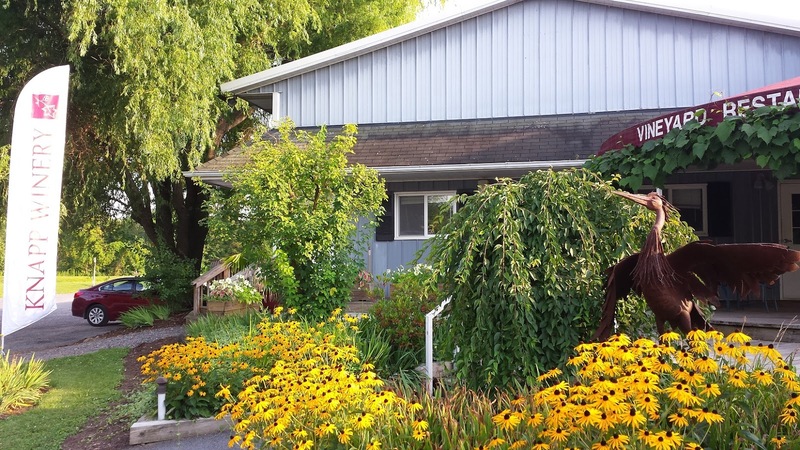 In 1983 the Cayuga Lake Wine Trail was the first wine trail established in NY State and currently consists of 16 wineries. When looking at the map, Cayuga Lake is represented as the index finger to the east of Seneca Lake. Ithaca is located on the southern shore and Seneca Falls on the northern end with the wineries dispersed on either shore. 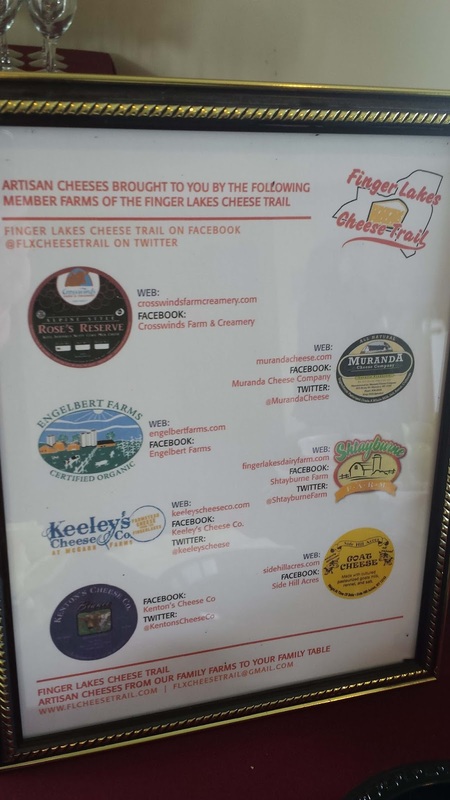 There's also a brewery, cider house and a few distilleries. 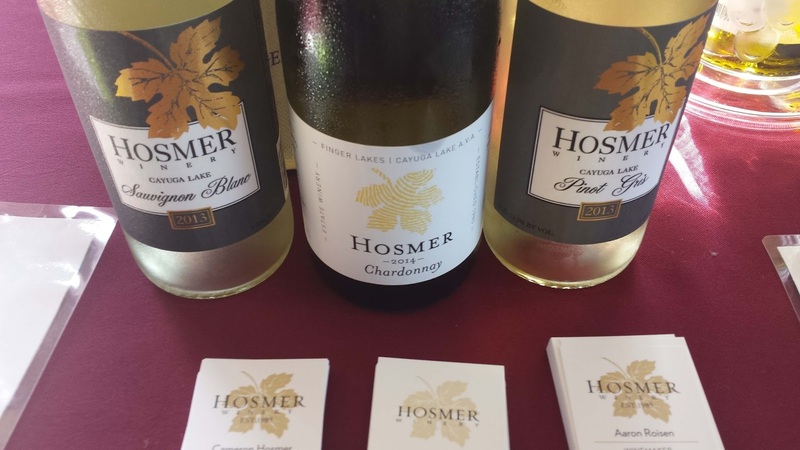 Our bus left Corning accompanied by Hosmer Winery winemaker Aaron Roisen and Lucas Vineyards winemaker Jeff Houck. 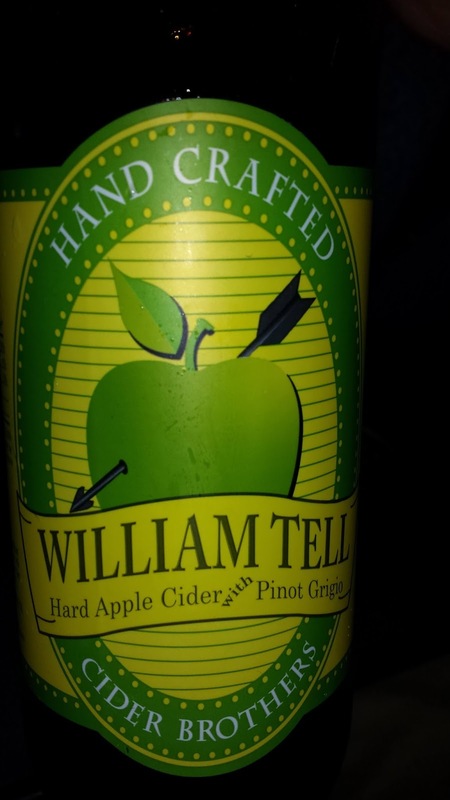 Inexplicably, at least to us spoiled bloggers, they forgot to bring wine to share; but our friends from Cider Brothers came packed with William Tell Cider - a wine like cider produced using three strains of yeast and containing 15% Pinot Grigio. With our plastic glasses filled, we listened as Rosien and Houck gave an overview of the wine trail and their respective operations. When we arrived at Thirsty Owl, half the group departed the bus with the remainder continuing to Goose Watch. There were eight wineries at each location and after tasting in one location we were transported past the vineyards to the lake where our boats awaited for our 15 trip to the second winery. At least it was only that long for those of us on the faster boat. There were several standouts in both groups starting with the cider from Bellwether Hard Cider. The Barton family started out as cider makers and eventually transitioned to wine, so its no surprise their ciders impressed several of us. Long live King Baldwin. 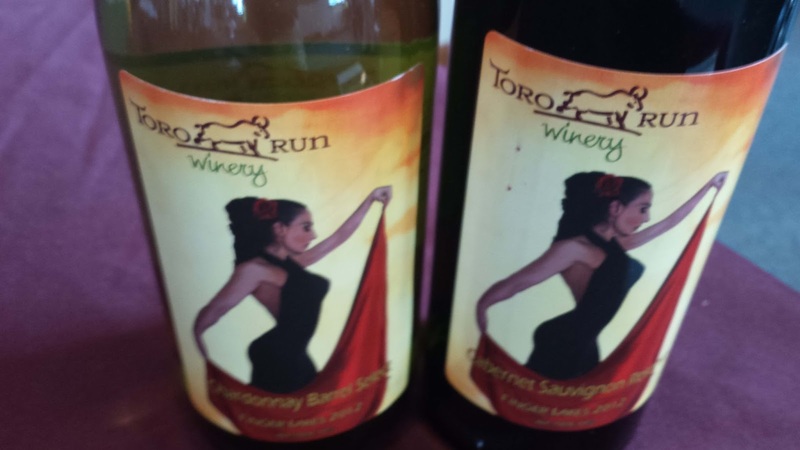 The Hosmer selection was also solid as where the Chardonnay and Cabernet Sauvignon from Toro Run Winery. Their labels are also something special. 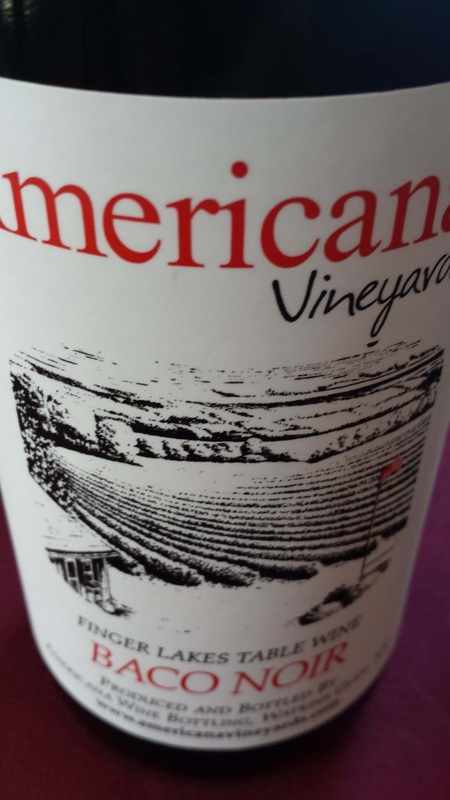 A pleasant surprise was the Baco Noir from Americana Vineyards and Winery. The all stainless steel process creates a fruit friendly lighter wine. 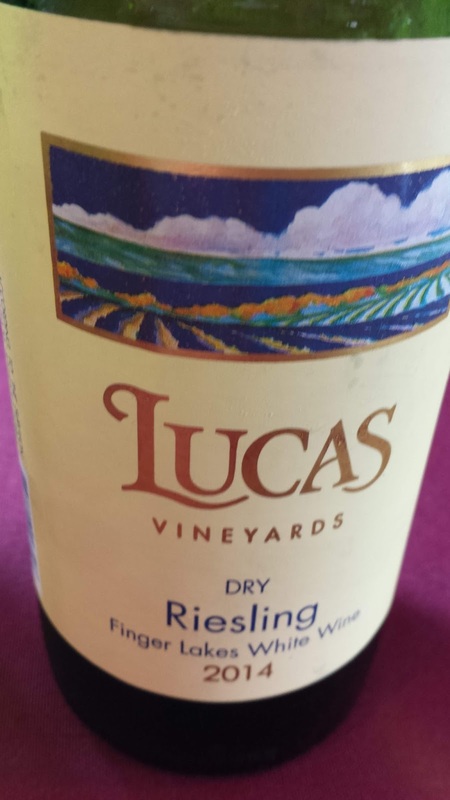 Sadly I had to race through the Lucas selection which was unfortunate because their Cab Franc and Riesling were worth relishing longer. My favorite of the day probably goes to the Knapp Vineyards & Winery Rose, blend of predominantly Cab Franc with a lesser amount of Pinot Noir. Our excursion was far from over as we were transported the short distance to Knapp where a gourmet dinner awaited us. 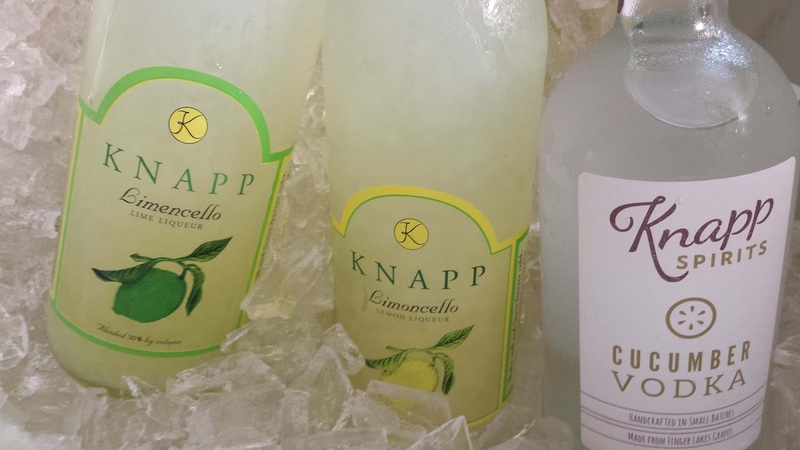 Plus more wine, cider and spirits, the latter courtesy of Knapp featuring Limoncello and a Cucumber Vodka. All where quite smooth and tasty. 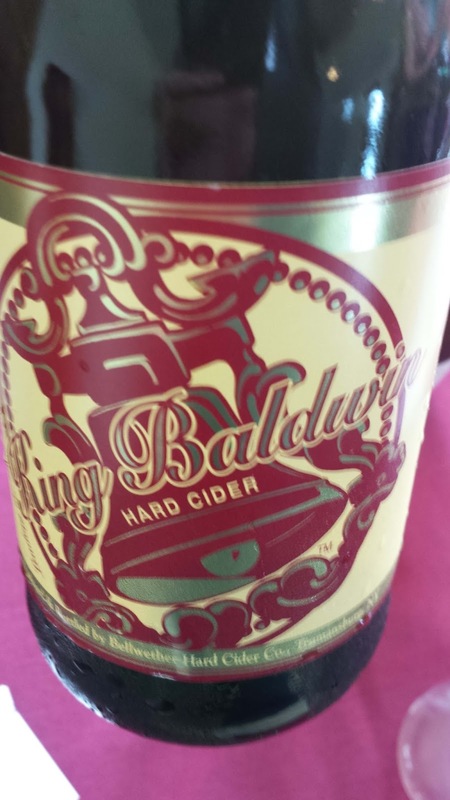 Being rather fatigued a chose the Bellwether Lord Scudmore, a sparkling cider from Northern Spy apples. Dinner was informative as I shared a table with Knapp winemaker Steve DiFrancesco and Quebec blogger Gigi Bissonnette as they discussed vineyard practices in Quebec and Prince Edward County. Looking forward to a future visit to those regions very soon. But back to our subject matter. Chef John McNabb of Knapp Vineyard Restaurant served Smoked beef brisket with johnny cakes and Hoisin Poblano, Limoncello Chimichurri an Cabernet & Caramelized Onion demi sauces accompanied by fingerling potato and quinoa salads. Also served were the Calabacitas with corn tortilla ships, Cayuga Caviar and sour cream. The chocolate chunk cookie to go was also provided courtesy of Chef John. Chef Lindsay of Crystal Lake Café at Americana Vineyards offered a house-made sausage, pan-fried chicken and deviled eggs. Jennifer, the resident baker, provided the baguette during the tasting session and the lemon bars and pecan squares for dessert. Chef Scott of The Bistro at Thirsty Owl Wine Co. served smoked pulled pork with coleslaw and barbeque beans. Scott also provided the Peanut Butter Corn Flake cookie. 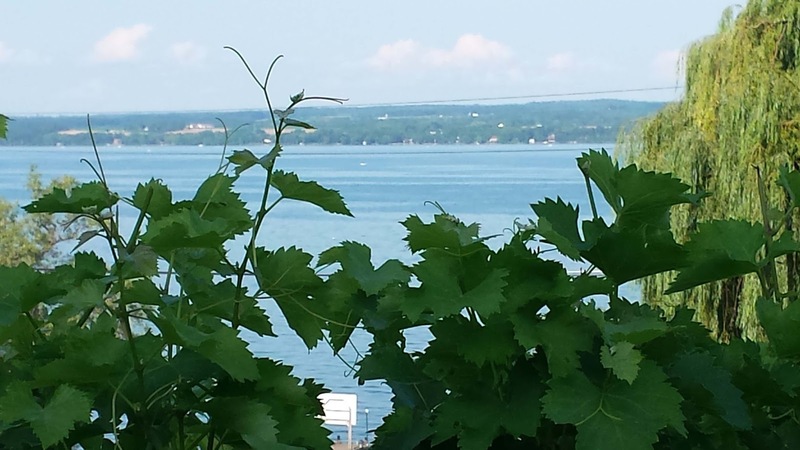 Cheers to the wineries on Cayuga Lake and in the Finger Lakes in general. Check out theCompass Winery, Brewery, Distillery Locator Mobile App to make future trips to the area easier to plan. For those interested in local wine and food, you will want to check out Epicurience Virginia, a multi-day festival culminating with a grand tasting on September 5th. This final event occurs at Morven Park in Leesburg and offers both an early entry VIP ticket ($145) as well as a reasonable general admission ticket ($85). At face value you may not think this price is reasonable, but wait until you read the details. There will be forty exhibitors providing Virginia wine and food samples. The event features local chefs Chris Edwards from Salamander Resort & Spa, Jason Lage from Market Table Bistro, and Bonnie Moore from Willowsford. Each will provide cooking demonstrations throughout the day. **Ultimate Winemaker Experience: team up with Loudoun Winemakers for a Speed Blending Competition! Winemakers and participants will have 30 minutes to sample blending components and complete their blend entry. The last 30 minutes will be used to judge and announce the three finalist for the session. You must purchase admission into the event before entering the random drawing of participants. Click here to be selected. Epicurience Virginia Wine Blend Sneak Peek: get a sneak peek of the 2013 Epicurience Virginia Red Wine Blend created from wines by Bluemont Vineyards, Breaux Vineyards, Sunset Hills Vineyards and Tarara Winery. Now that sounds like an informative and entertaining outing. 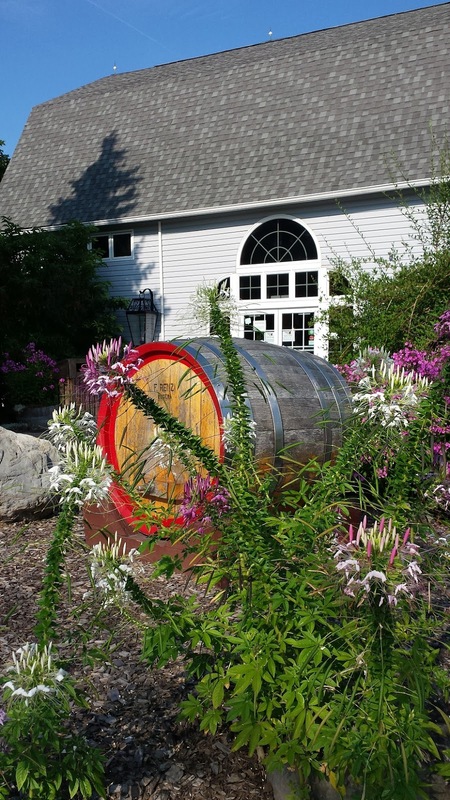 Visit Loudoun can recommend lodging options and take a look at the theCompass mobile app to find wineries, breweries, distilleries, and cider houses in the area. Cheers. 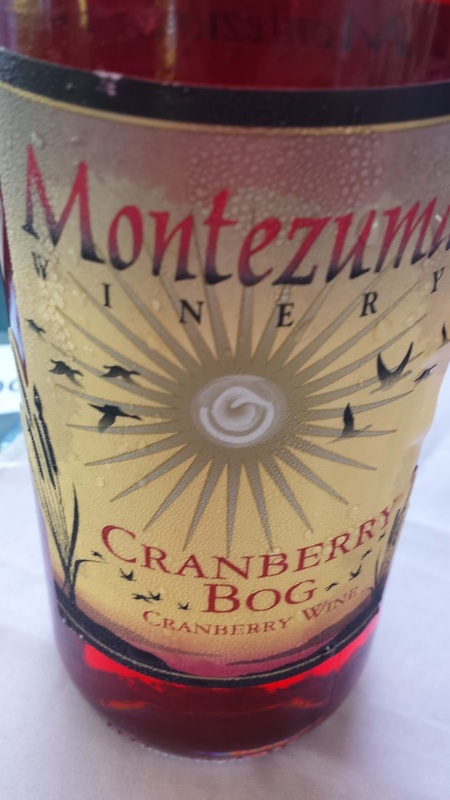 Here's a quick tabulation of what I saw tweeted during the 2015 Wine Bloggers Conference. #WBC15 #bestadvice "No one will judge you by the photos you take, they'll only judge you by the photos you show them." My shuttlecock is bigger than your shuttlecock ... Wait that's a zucchini fritter. #wbc15 Nice wines too. Did I Tweet That Out Loud? 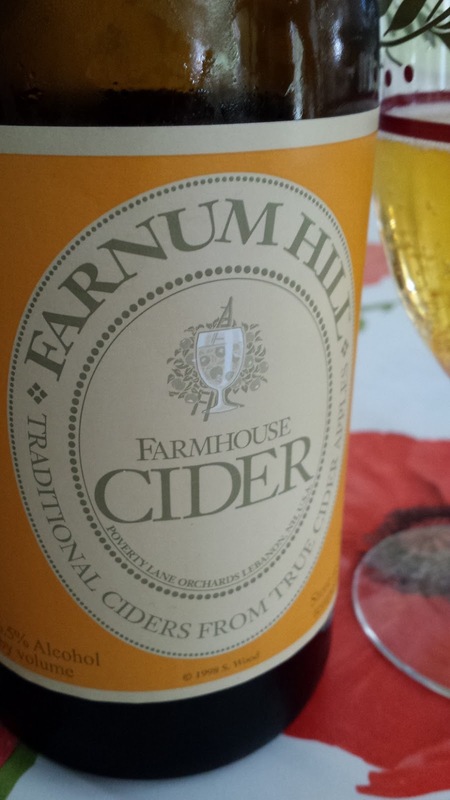 August's #WineStudio session moves from wine to hard cider featuring New Hampshire's Farnum Hill Ciders. The cider house is owned and operated by Steve Wood and Louisa Spencer and has been a leader in the resurgence of quality dry hard cider. The fruit is grown at Poverty Lane Orchards which Steve purchased in 1984 and expanded in 1998. The orchard's terrain provides similar benefits as a grape vineyard. The downward slope allows cold air to escape to the neighboring Connecticut River; whereas the rocky, mineral-rich soil and short growing season produces intenser aromas and flavors. Initially planted with Macintosh apples, Poverty Lane Orchards now consists of over 100 apple varieties that fall within four types: bittersweets (hi-tannin, hi-sugar), bittersharps (hi-tannin, hi-acid), sweets, and sharps (acid). 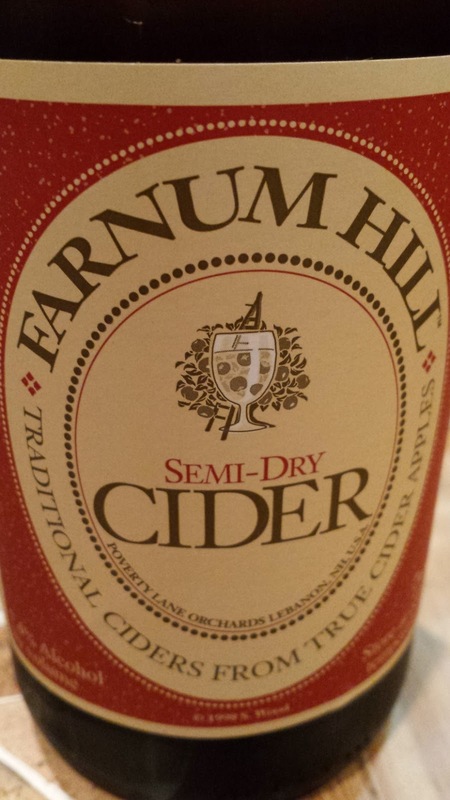 When fermenting the apples, Farnum Hill utilizes neutral Champagne yeast that does not overwhelm the apple character. And the final ciders are generally a blend of multiple apple varieties in order to produce the best acid/bitter balance, complexity, fruit, and astringency.The only sugar added is for dosage. 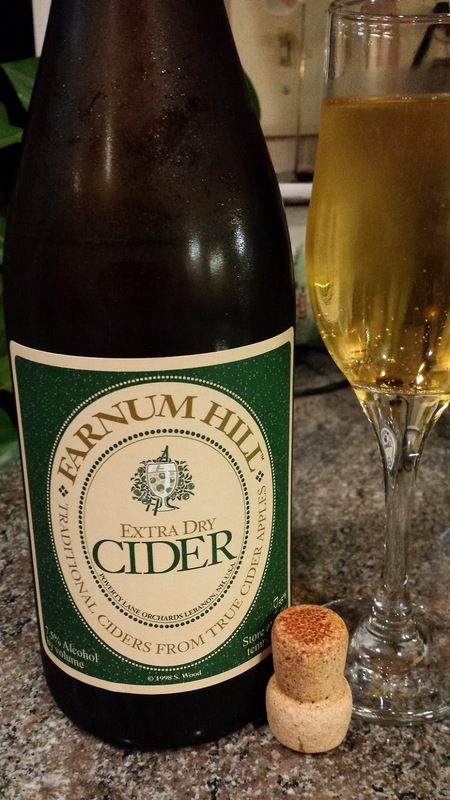 Farnum Hill Extra Dry Cider ($15, 7.5%) - tart apple & yeasty nose; almost chewy apple texture changing to orange blossom honey; extremely dry; lingering finish - light tannins & effervescence. Farnum Hill Farmhouse Cider ($15, 6.5%) - bittersweet varieties blended with Spitz and other acidic apples. The cider is tart, slight sweetness, funky palate; full mouth feel; long lemon finish. It was time for another Nationals road trip, once again, Pittsburgh's PNC Park was our destination in hopes of quality baseball and beer. While driving towards the city, theCompass Winery, Brewery, Distillery Locator Mobile App informed me of several brewery options in the suburbs with Full Pint Brewing Company the closest. This is a hop head's paradise, plenty of strong IPAs - even a session version. But give me the White Lightening, a Belgium Wit, that's spicy and refreshing. Our group had a rendezvous setup at the Rivertowne Pour House for a late lunch and beer. 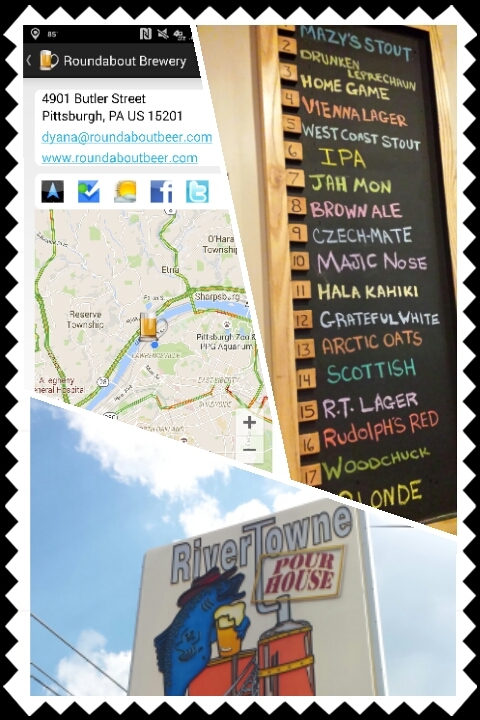 Rivertowne has an expansive beer selection and you can find their cans (brewed at Rivertowne Brewing Export, PA) throughout the region. I stuck with samples of their low abv beers - knowing it was going to be a long day and night. A few favorites were the Babbling Blonde, Czech-Mate Pilsner, and the Home Game West Coast Common Lager. The one exception to the low abv rule was the Bourbon Barrel Aged Baltic Porter, a high gravity porter aged in used bourbon barrels. Hot, but also creamy with soft vanilla notes. Pittsburgh is a tailgating town, and even for a night game it starts early; cars started rolling in at 11:00 am - the same time some of the bars opened. My favorite Pittsburgh beers were from Draai Laag Brewing Company, where a couple are available at the The Beer Market. This brewery specializes in unique Belgian inspired ales, many of these sours - which nails my current flavor profile. 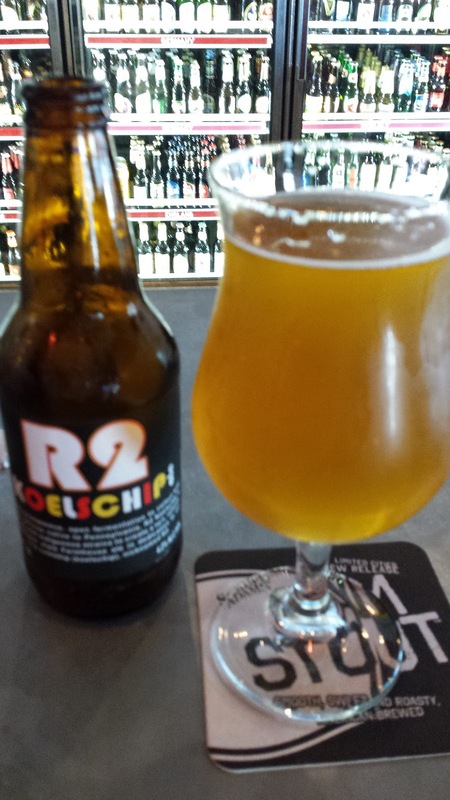 One of these is the R2 Koelschip, an American Wild Ale style beer, perhaps not as wild as the name suggests but still some funk, brett, and mildly tart. But my go to beer was the Geestelijke Farmhouse Ale, on draft, and first fermented using open spontaneous fermentation. The wild yeast strain was later determined to be the Wild Angels strain. This beer is yeasty, tart, with a lemon profile. Next visit to Pittsburgh, I'm hitting this brewery first. Uber is a great transportation medium for visiting city breweries and it served as well on this day. 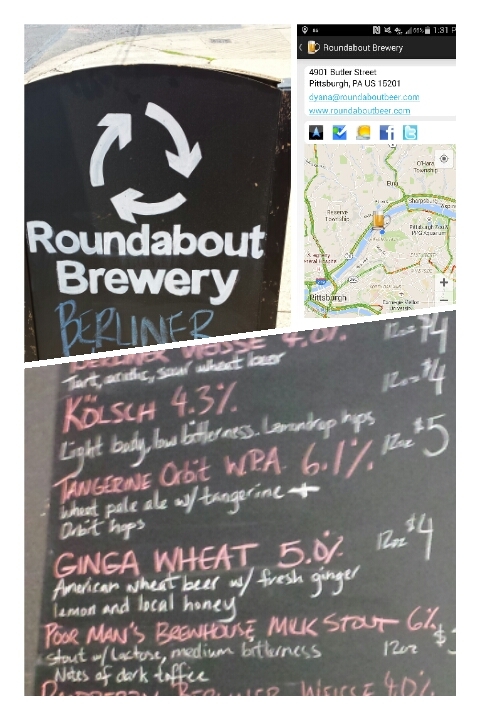 Four trips cost about $25 total, with the first leg taking us to Roundabout Brewery. A bartender at the Beer Market had recommended this brewery since they don't sell outside of their tap room and have a New Zealand flair - particularly the meat pies. I tried to remain in the low ABV range and choose the Berliner Weisse and Kolsh. The later was quite unique with the use of Lemon Drop hops adding a more citrusy component to the otherwise very clean beer. Their Berliner Weisse nailed the style: tart, light and refreshing with more lemon citrus. My companions went with the IPAs with the Pacific Ring IPA their favorite - brewed with Cascade and new Zealand Nelson Sauvin hops. 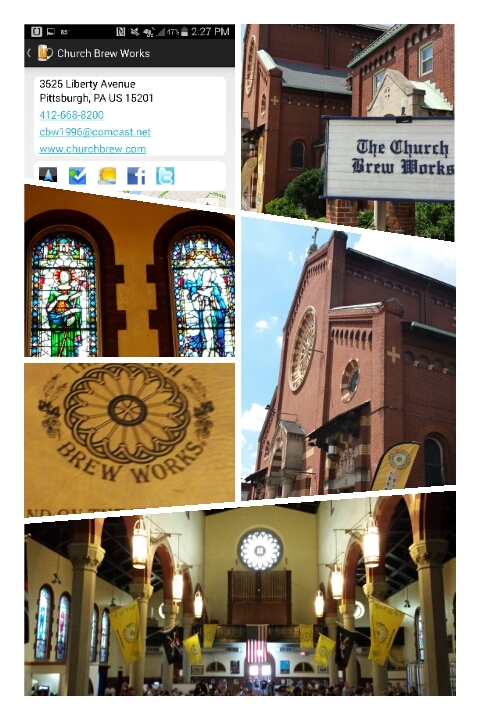 Out next destination was Church Brew Works, and this is a destination, in addition to be a brewery and restaurant. It is located in a 100+ year old former St. John the Baptist Church, a historical building where they kept most of the original interior and exterior intact. It is quite impressive, particularly the stained glass windows, spirals, and altar. And since our group consisted entirely of Catholics, a must visit. The brewery's Celestial Gold Pilsner and Pious Monk Dunkel are available throughout the city and at PNC Park, and showcase the German styled leaning of this operation. The hop head in our group went with the Thunder Hop IPA, brewed with nearly 3lbs of Australian Galaxy and American Chinook per barrel of beer. For me, it was another Berliner Weisse, this one still citrus but more of a grapefruit flavor than lemon. Our final stop was the highly recommenced Wigle Whiskey. It seems that everyone we talked to praised this distillery, so off to the Strip District for us. The distillery is named after Phillip Wigle, who "defended his right to distill in a tussle with a tax collector. He unwittingly helped spark the Whiskey Rebellion, which pitted Pennsylvania distillers against George Washington's troops". 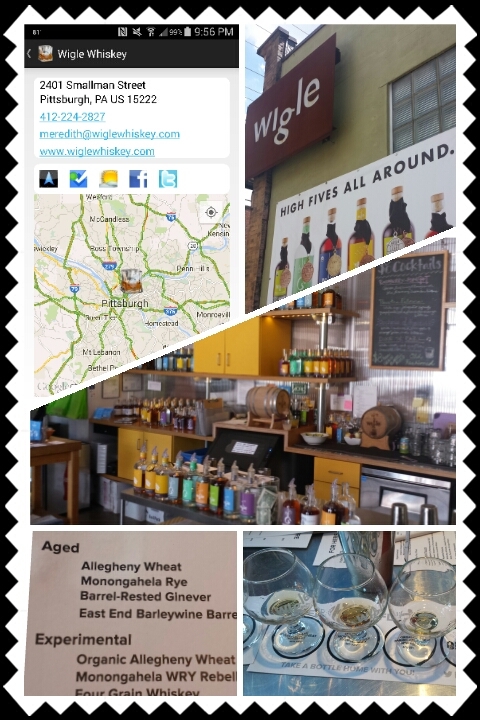 As the story suggests, they specialize in whiskey, in particular, rye whiskey using Pennsylvania grown Monongahela Rye. There is also plenty of experimenting occurring at Wigle with the whiskey aged in different oak barrels such as Apple Wood, Cherry, and Maple. Tastings are conducted through various flights of 1 ounce pours of four spirits; and we went with the Aged and Experimental flights. The Aged Spirits flight consisted of the Organic Allegheny Wheat Whiskey, Organic Monongahela Rye Whiskey, Organic Barrel-Rested Ginever, and Barleywine Barrel-Rested Ginever. We definitely preferred the whiskey over the gin, with the rye slightly ahead of the wheat. For the Experimental flight, we sampled the Organic Wheat Whiskey Finished with Maple Wood, Wry Rebellion Whiskey, Four Grain Whiskey, and another version of the Barleywine Barrel-Rested Ginever. The Wry Rebellion was a favorite with the spirit based on a lower rye mash and finishing in a once-used Wild Turkey Bourbon barrel. This is a very smooth whiskey, full of honey and vanilla notes. The Maple Wood was also quite nice - with a slightly sweeter profile. The recommendations were correct, Wigle is a must visit. Cheers to Pittsburgh breweries and distilleries. 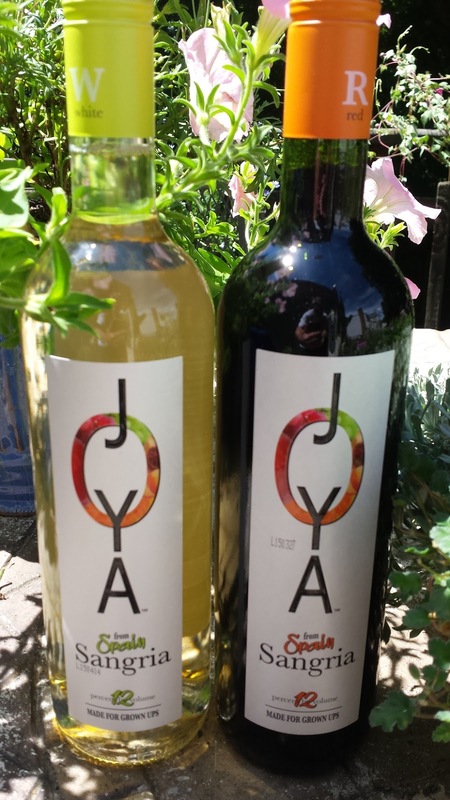 Last week Old York Cellars featured their What Exit Wines brand through another #VirtualVines Twitter tasting. One aspect about this brand is that a percentage of sales go to various charities and once again this tasting focused on Hometown Heroes - a very worthy recipient. For the #VirtualVines tasting, I received three wines as samples, a White, Red, & Blush (Rosé) and Old York donated $1 per tweet to the charity. We started with the Down the Shore Exit Only White ($16); a blend of Chenin Blanc and Cayuga. An old world-new world wine. This creates a soft wine, with loads of apple flavors (thanks to the Cayuga), and finishes with decent acids. The Hometown Heroes Rosé ($22) is a blend of Chenin Blanc and Cabernet Sauvignon and weighs in at only 1% residual sugar. 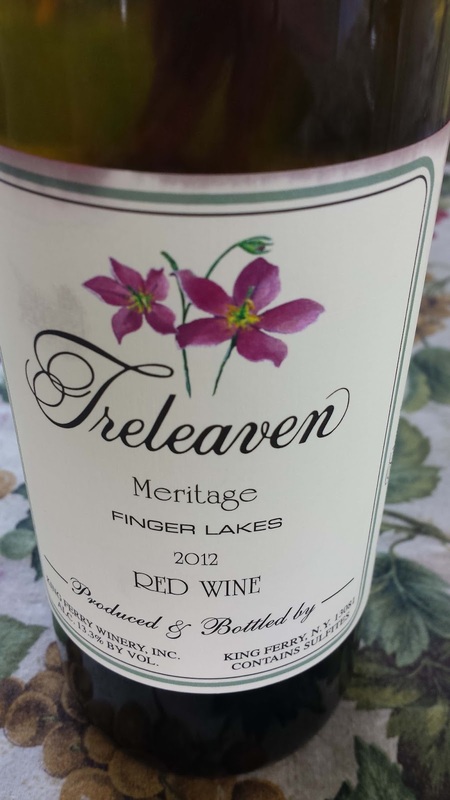 The wine starts with a subtle strawberry raspberry aroma; with plenty of red fruit. It finishes with prevalent acids although not as high as the white. Winemaker Scott Gares tried a dozen different blends to get the color and flavor profile he preferred. The Cabernet was the winner in this endeavor with the grapes lightly pressed - no saignee. 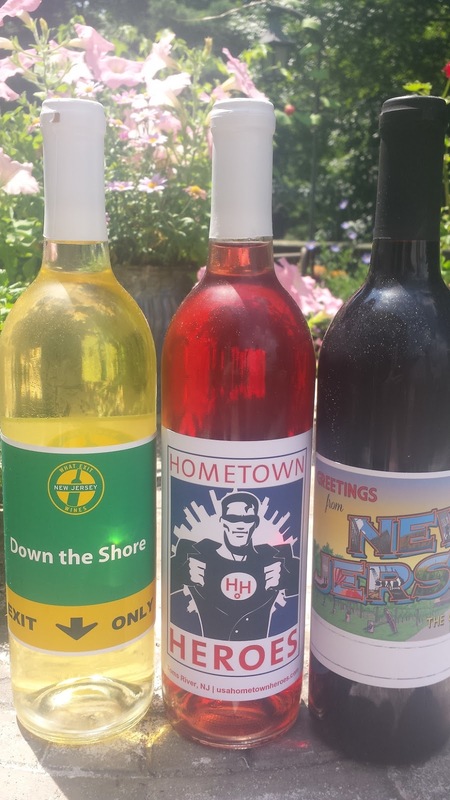 And remember, for every Honetown Heroe wine purchased, $5 is donated to that charity. The final wine was the Greetings from New Jersy Red ($18), an interesting blend of 40% Barbera, 40% Merlot, 20% Cabernet Sauvignon. This is a summer red, so serve slightly chilled. There's sour cherries throughout and with the acidity, it's quite refreshing. Cheers to New Jersey wine and Old York Cellars. 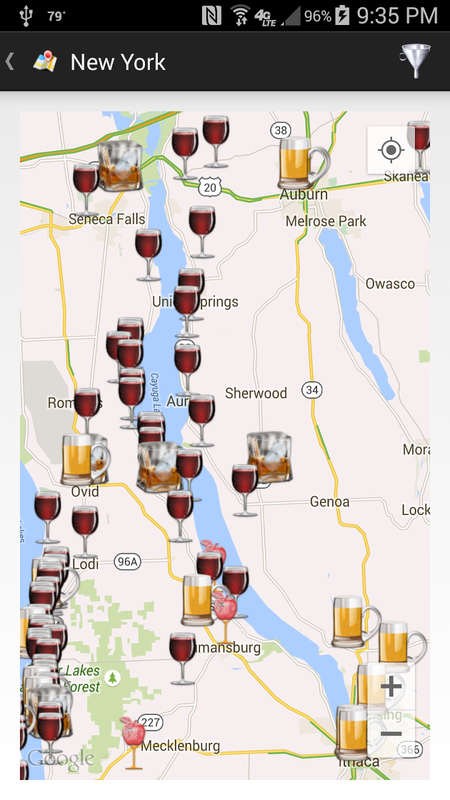 theCompass Winery, Brewery, Distillery Locator Mobile App can help you plan a visit.